The Ashdown Forest, including East Grinstead & Forest Row. Try a taster session first or book a course straight away! Nordic Walking for Health runs Nordic walking taster sessions from a number of East Sussex locations on weekdays and at weekends. If you would like to try Nordic walking and find out more about the many health benefits, a taster session is the perfect introduction. Nordic Walking for Health offers a range of courses, including tailor made courses for individuals, group courses for the over 60’s and family group courses. Whether you are new to Nordic walking or keen to improve your skill level, we have a course to suit you. Specific poles are required for Nordic walking. These are not simply adapted trekking poles but tailor-made ones for this particular activity. Nordic Walking for Health sells and hires out good quality poles. The length of pole for you depends on your height. Proficient Nordic walkers can take advantage of regular Nordic walks at various East Sussex locations, including free Nordic Healthwalks in Brighton & Hove. Nordic Walking for Health also offers refresher and restarter sessions, which are open to Nordic walkers of different abilities and experience. 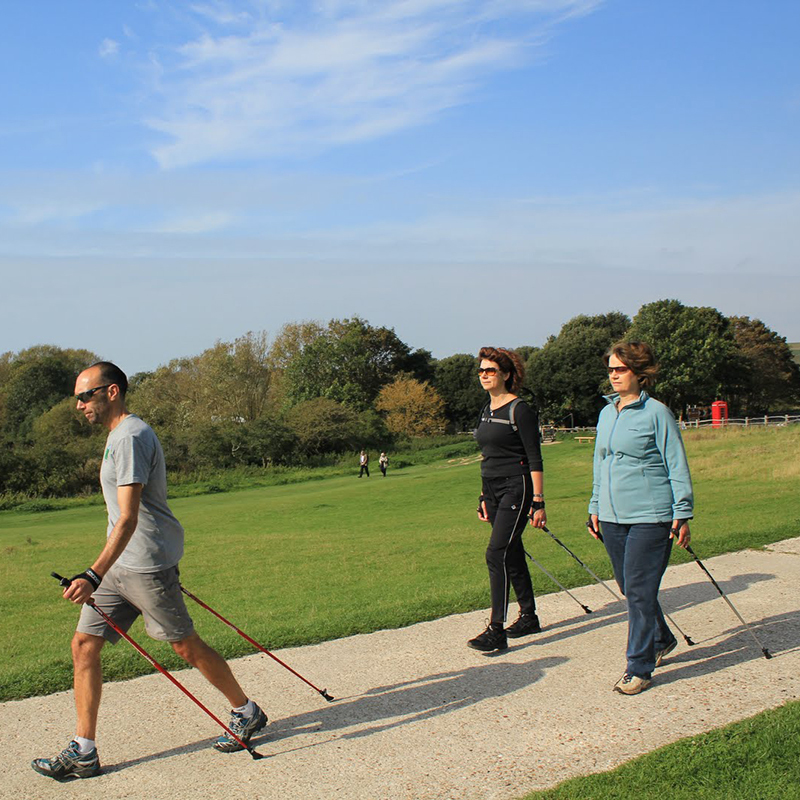 Nordic Walking for Health regularly runs different individual and small group sessions for Nordic walkers of different abilities and experience – however long ago you successfully completed a course. These take place at different locations in East Sussex. Read some personal testimonies from people who believe that their health and well-being has benefited from them taking up Nordic walking. These are real stories about physical health, emotional well-being and mental functioning. Spring & early Summer Beginner Courses, including for children … book now !